You open your closet and begin to pick out clothes you want to wear for a party. You want to dress to kill. You want to impress those around you. You end up picking out the most stylish, colorful, showy clothes you can find thinking they will make the coolest outfit in the world. You are WRONG! 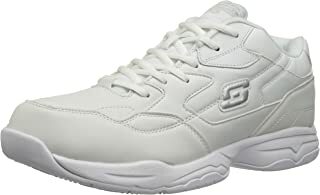 Very often you only need ONE single stylish item in your outfit to express your elegant taste in men's clothes. That single stylish item helps you get people's attention focused on your outfit and the stylish item shines in your otherwise less interesting outfit! If you are wearing too many stylish items you'd look garish and tasteless and people don't know what to look at when they look at you. Photo #1 shows an Outfit with a Stylish Shirt. This black white casual shirt has a complex checkered pattern on it which draws attention. The remaining items - white belt, gray jeans - supplement the outfit. Doesn't this outfit look handsome and modest? Photo #2 shows an Outfit with a Stylish Graphic Tee. 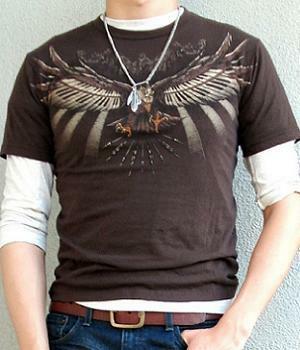 This brown graphic t-shirt draws attention while the beige t-shirt underneath, the brown belt, the blue jeans, the brown shoes help bring out the uniqueness of the graphic tee! Photo #3 shows an Outfit with a Stylish Military Jacket. 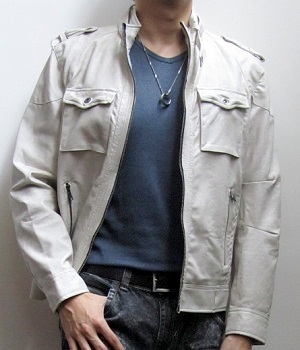 This beige jacket has epaulets, chest pockets, side pockets, and stylish lines all over it. This jacket is screaming "Look at me!" Therefore you don't need to go overboard with the remaining items in your outfit. A plain blue t-shirt and black jeans would do. 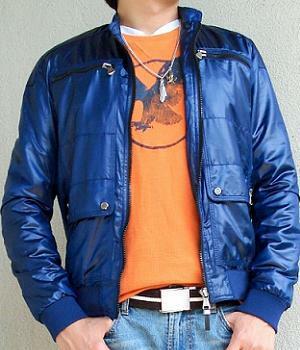 Photo #4 shows an Outfit with a stylish blue jacket, a stylish orange graphic t-shirt, a stylish necklace. As you can see the shiny jacket has stylish pockets and is by itself a fashion item. The graphic tee is another fashion item. Putting them all together makes your top look rather complex. This outfit is not the worst example. But you get the idea. Another advantage of wearing only one stylish item in your dress is you only need to worry about one stylish item, not two or three. This advantage should save you time and spare you frustrations when picking out clothes!